As this is my first blog post of 2012, I would like to take this opportunity to wish everyone a very happy and healthy new year. As some of you will know, I was born in Lincolnshire and the majority of my family still live there, even though I now live in Northamptonshire with my daughter Sophie. It is always a great pleasure for us to spend Christmas over near Lincoln with my brother and sister-in-law, Alan and Helen. Every year, during the holidays, we try to fit in a visit to one or more of the many attractions in the area although last year was an exception as I managed to catch the flu during my stay which spoiled any plans we had. 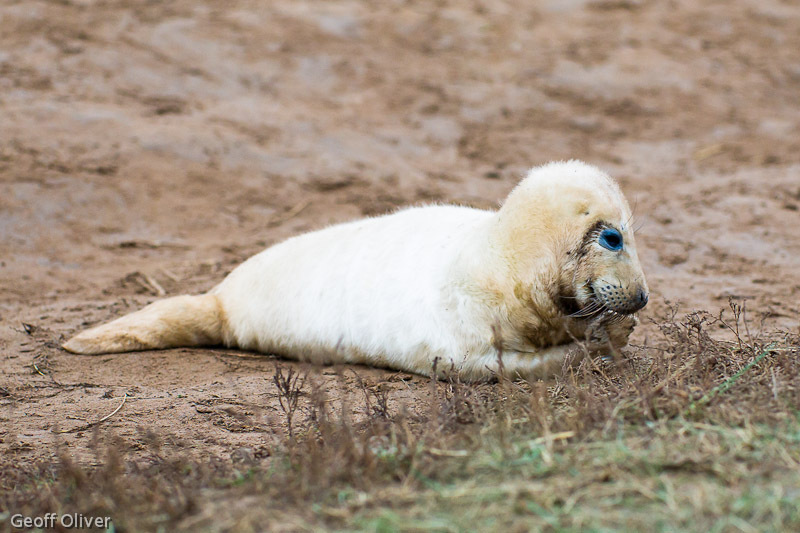 This year I managed to avoid any bugs and we took the opportunity to visit the grey seal colony at Donna Nook, near North Somercotes on the Lincolnshire coast. This was not the first time we had been to see the seals there, we first went there during the Christmas holidays in 2007. 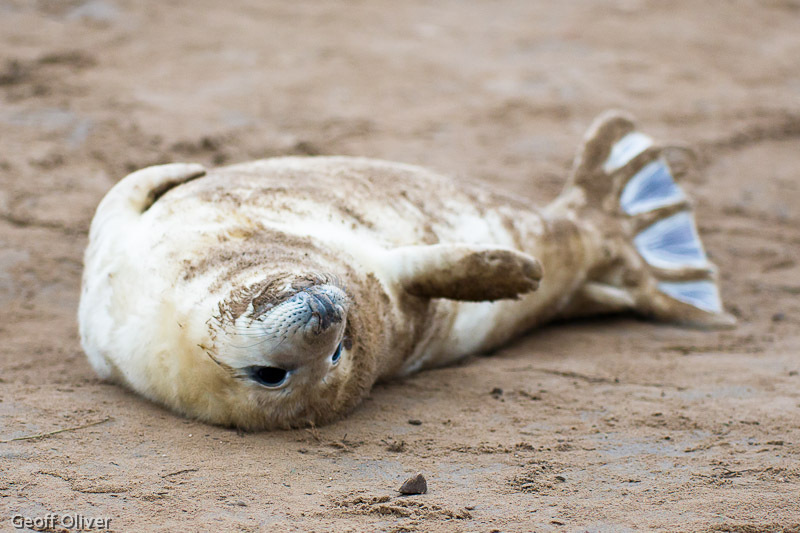 Over the past few years, Donna Nook has attracted visitors from all over the country to see the grey seals who have chosen this particular stretch of beach to give birth to their pups. 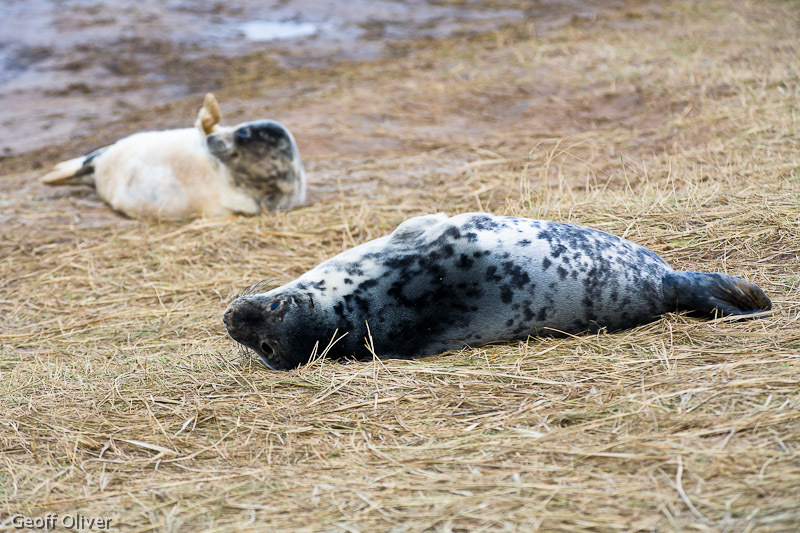 During the peak season, from early November to mid December, up to 1,000 female seals (cows) and their young pups can be seen from the special viewing area. Adult males (bulls) tend to stay further up the beach, away from the public area, but can still be seen and photographed, albeit with a longer lens. For this trip, I had my trusty Canon EF 80-200mm F/2.8L with me, together with my EOS 5D Classic. 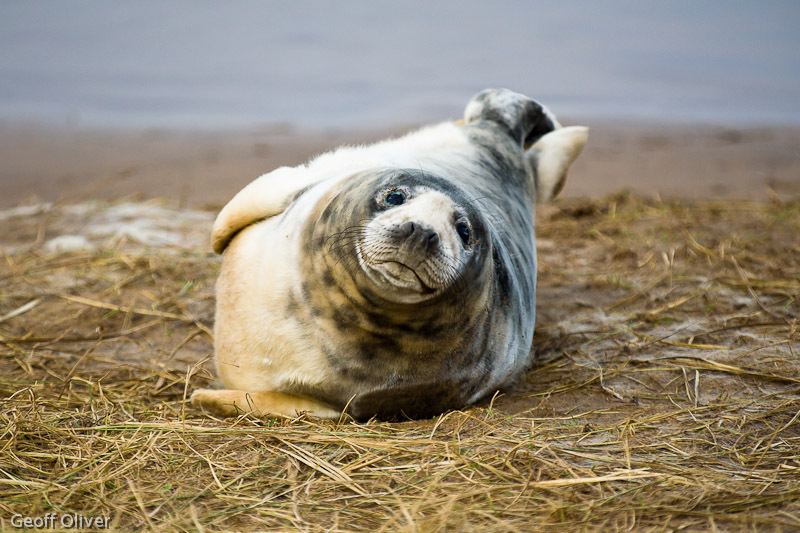 This has been a terrific lens for me over the years but perhaps a little short for this subject at times, although the seal pups do venture surprisingly close to the double picket fence that separates them from the viewing public. 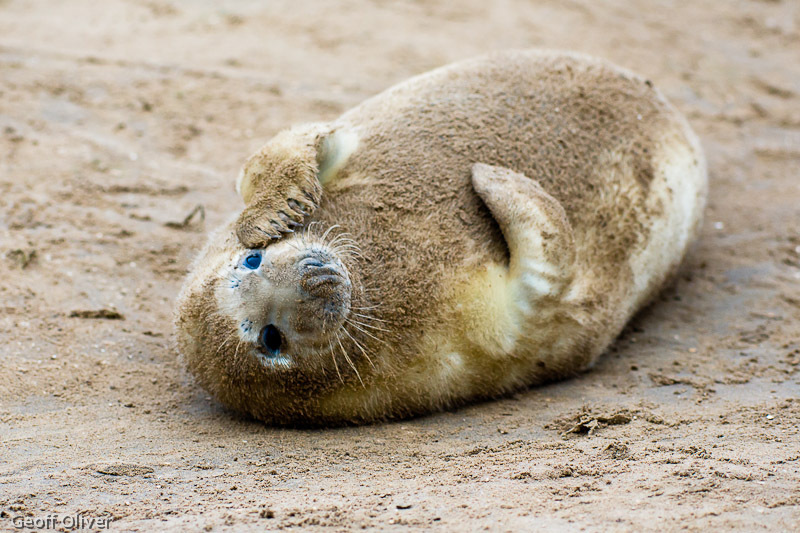 When they are newly born, the seal pups are covered in white fur and appear somewhat “deflated” by a beanie toy with insufficient beans to fill it. During the next 3 weeks, they feed on their mother’s milk which is 10 times richer than cow’s milk and soon start to put on weight, giving them that oh-so-cute rounded look that we all love. After about three weeks, the mothers will return to the main seal colony further out to sea, to feed and to get their strength back. 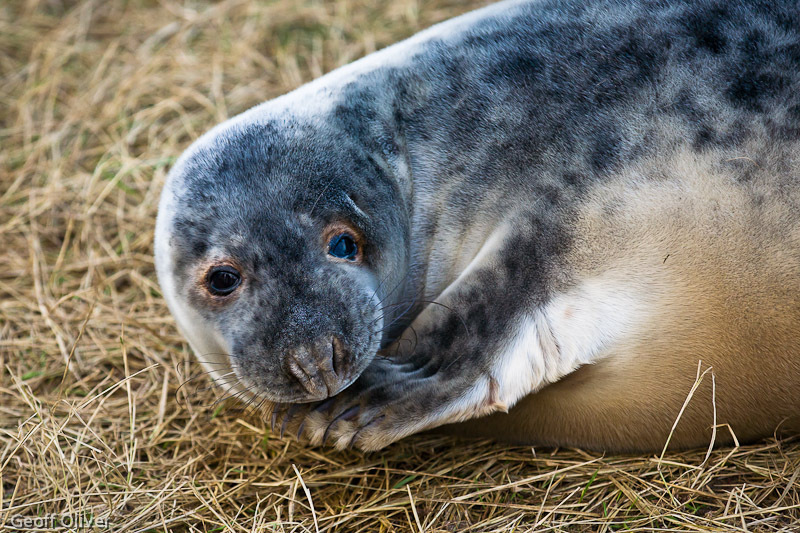 The seal pups, meanwhile, will start to lose their white fur which is replaced by the much shorter haired grey speckled coat that you see here. The foreground pup has lost its baby fur while the younger pup in the background waves to its fans! 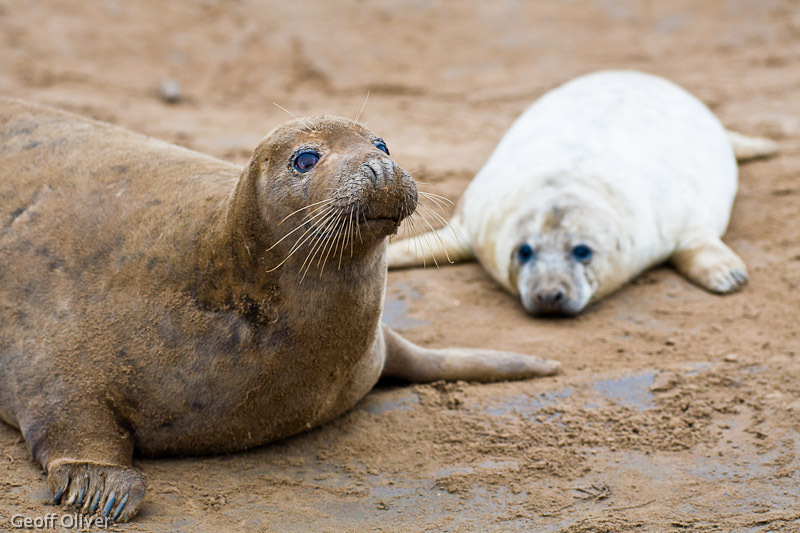 By the time the pups are about 6 weeks old, they are strong and confident enough to leave the beach where they were born and at high tide they will swim out to join the others in the main seal colony, which lives for large parts of the year on sand banks further out to sea. I have posted some more photos from our day on my website here. 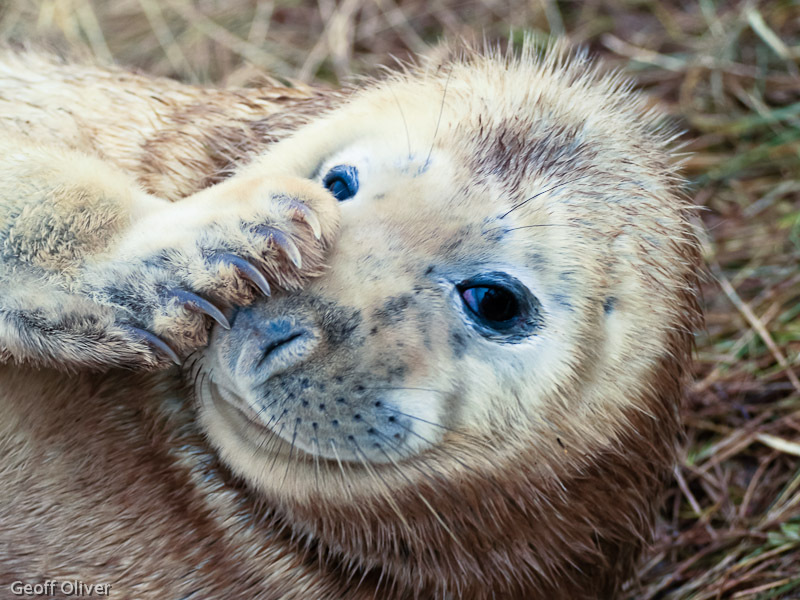 I shall also be posting some of my photos from 2007 in due course, including the one shown below which I titled “Bashful Seal” and which recently won the “digital image of the year” competition for 2011 at Desborough and Rothwell Photographic Society. 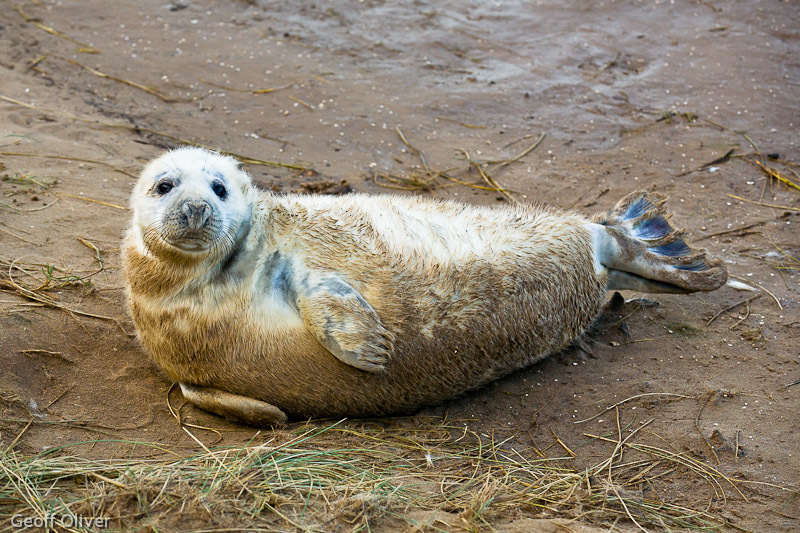 If you are planning to visit the seals at Donna Nook, remember the best time of year is from early November to mid December. The best days to visit are during the week if you can, as the public viewing area and adjacent car parks get very busy at weekends during the peak season.